"This is one of our favorite soft cookies, which my husband loves. I got this from a friend many years back and have made it often." Mix sugar and shortening until smooth and fluffy. Beat eggs and add baking soda which has been dissolved in 1 tablespoon hot water. Sift flour and salt together and add to the creamed mixture. Add vanilla and fold in nuts and chocolate chips. Drop by spoonfuls onto lightly greased cookie sheets. Bake for 9 to 10 minutes. 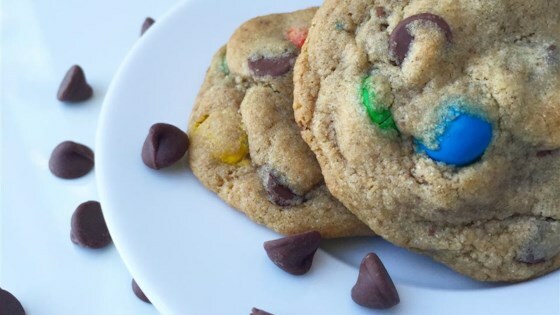 See how to bake a top-rated chocolate chip cookie. HORRIBLE, DISGUSTING RECIPE. THE COOKIES WERE THE WORST EVER. DO NOT TRY THIS RECIPE!!!!!!!!!! I AM ANGRY THAT I WASTED ALL THE INGREDIENTS FOR IT. Very easy to make. Finally, a really good, soft chocolate chip cookie. Yuck! I give credit for the fact that they are, indeed, chewy. They have no flavor, except that of shortening. I'll stick with my tried and true!